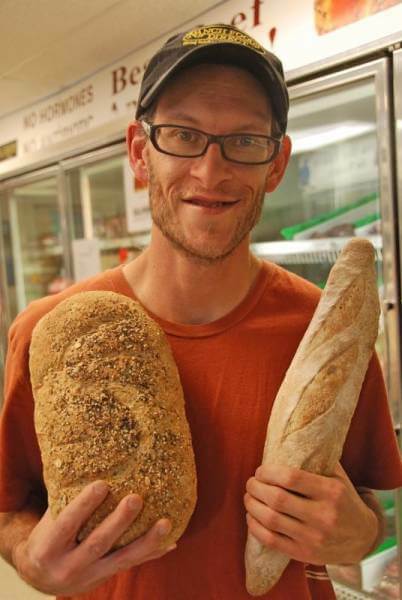 THE SCOOP: Shawn Saunders, owner of the Sourdough Boulangerie, is now sourcing organic stone-ground whole wheat flour from Mountain Mama Milling in Monte Vista, which uses old-fashioned small batch grinding methods. The wheat is grown at Gosar Ranch and neighboring family farms in the San Luis Valley. WHY IT’S BETTER: As awareness has grown surrounding the potentially adverse health impacts of gluten specifically and carbs in general, the issue has also become more nuanced and complex. An article in the New York Times (When Gluten Sensitivity Isn’t Celiac Disease) summarized recent studies showing that a host of carbs found in modern foods – including fructose, lactose and polyols – potentially contribute to the constellation of symptoms commonly thought to be gluten sensitivity. Shawn uses real sourdough starter, though many of today’s commercial sourdoughs are made with chemical powders. His starter breaks down the sugars in the bread, making it safe even for diabetics to consume. Magical life-imparting sourdough “mothers” can be long-lived; though Shawn’s is only four years ago, some San Francisco versions have been around for well over a century. “They are like Galapagos turtles,” he jokes.